Next post: Gotta Try It! 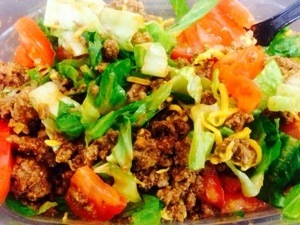 …..great, when you can turn your Taco Tuesdays into salads on Wednesday! Best lunch! Quick, Simple and Tasty!! And best of all, filling. Noooooooom!